An unusual gift for any child. 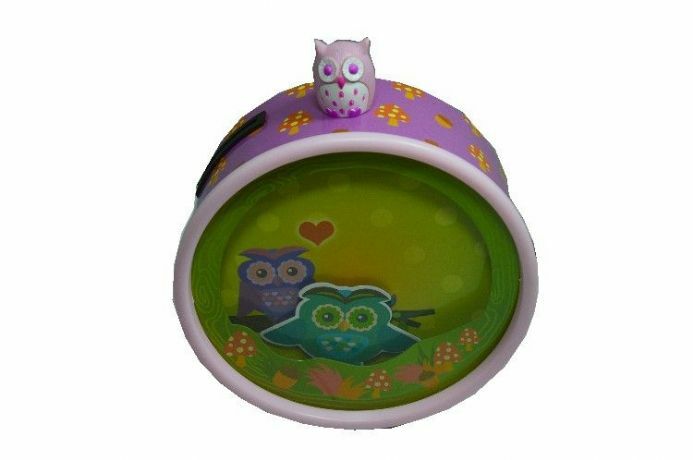 This musical money box features an owl moving to the music. Set behind a perspex screen, the owl moves in a circular path. 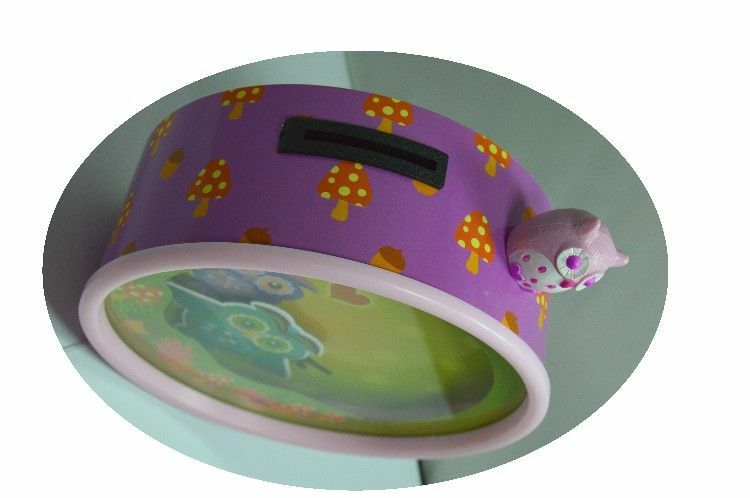 At the top of the money box there is a tiny owl perched beside the slot where the coins can be dropped in. A great way of encouraging saving! The clockwork musical movement is wound with the key at the rear of the money box. Next to the music box key is a stop mechanism so that the music can be stopped and started at any time. There is a cover so that the money can be easily accessed. Please be aware that although these are childrens music boxes suitable for 3 years and over, they do contain small parts and a removable metal key. If you are unsure about suitability, please telephone and ask one of our staff for guidance.